Singing Saw, the debut solo album from Los Angeles singer-songwriter (and former Woods bassist) Kevin Morby, was one of the great “growers” of 2016. Dusky and unassuming, it revealed its considerable charms slowly but surely, reflecting the patient ways of the man who made it. Morby’s follow up, City Music, mines a similar aesthetic, though its songs in general seem to endear themselves more quickly. 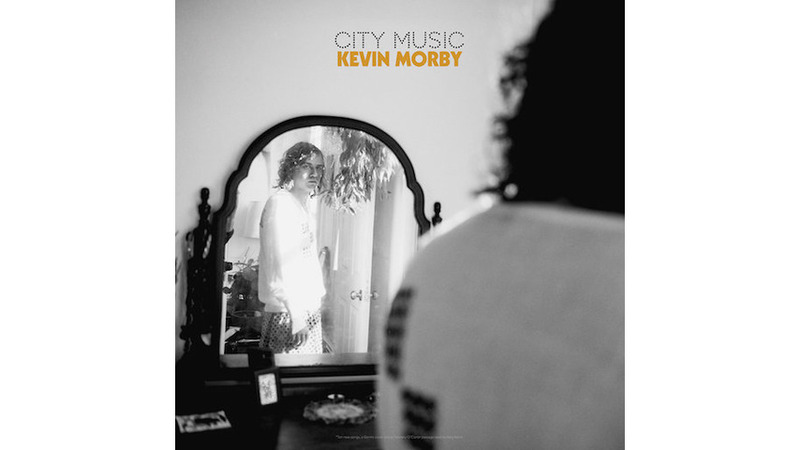 Where Singing Saw was inspired in part by Morby’s sleepy neighborhood in the hills northeast of L.A., City Music is about cities: city life, city noise, city people, a city’s pace and so on. Morby has said Singing Saw is Bob Dylan and Joni Mitchell, while City Music is Lou Reed and Patti Smith, and you can’t draw a much brighter line between two things than that. City Music doesn’t hustle and bustle. But it won’t let you miss it, either. The most showy example of City Music’s attitude is “1234,” a Ramones tribute that clocks in under 110 seconds. Buzzy and insistent, it’s unlike anything else on the album, but that’s not a bad thing. Morby’s band is a beast in concert; here’s hoping he records an album full of this kind of stuff someday. Bookending “1234” are a couple of songs—“Crybaby” and “Aboard My Train”—that manage to feel lush and likeable while also oozing a kind of terse nonchalance that recalls Reed’s distinctive style. “Tin Can” does the same, at least until about its halfway point, when it morphs into a wiry guitar jam and then a funky coda. Elsewhere, “Dry Your Eyes” is a gentle soul lullaby that never quite gets off the ground, “Caught In My Eye” sounds like a Germs cover (because it is a Germs cover) stuck in a subway tunnel, and “Downtown’s Lights” closes City Music with a sizable dose of despair and a faint country feel. But before he gets there, Morby offers up one of his strongest songs as City Music’s penultimate track, “Pearly Gates.” With verses built on a simple electric guitar riff and choruses dressed up with radiant backing vocals, Morby’s uncomplicated melody has plenty of space to swoop and settle. “I was wondering, on my judgment day,” he sings, “what song I’d be humming in line for the pearly gates.” That’s an interesting thing to ponder; luckily, Morby will have no shortage of good choices when that time comes.